Reddit is a vast resource. 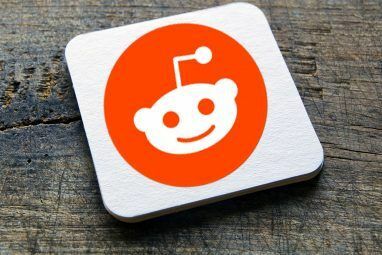 You can use it to find cool stories and pictures, laugh at the latest memes, or just chat with others The Most Sociable Subreddits and How to Find Them The Most Sociable Subreddits and How to Find Them Read More . But you’re not likely to have those experiences with the default subreddits you’re subscribed to from the start. Let’s talk about why they’re generally terrible, and the best subreddits you should follow instead. What’s the Problem With Default Subreddits? When you sign up for a Reddit account, you’re automatically subscribed to a list of subreddits, known as the defaults. You can find the current list here. While these seem to cover a great variety of topics, there’s one big problem with the default subreddits: they’re built around the lowest common denominator. Because so many people subscribe to these subreddits, posters try to score as much karma as possible with low-effort, low-quality posts. And somehow these awful Reddit posts are incredibly popular 15 Awful Reddit Posts You Won't Believe Were Popular 15 Awful Reddit Posts You Won't Believe Were Popular Reddit is home to all kinds of awesome content. But it's also full of people looking to exploit the average user for some quick karma. Here are 15 awful posts that somehow soared to the... Read More . Default subreddits have too many people and thus their communities aren’t worth much. Let’s talk about direct alternatives to some of the default subreddits (“subs”) that offer higher-quality content. The default subreddit for video games, /r/gaming, is a complete mess. Nearly every post is a low-effort meme, “does anyone else remember this game” post, criticizing EA Everybody Hates EA for Star Wars: Battlefront II Everybody Hates EA for Star Wars: Battlefront II EA has been the subject of some intense hatred over the years, but the company has now managed to achieve the seemingly impossible... uniting the whole internet against it. Read More , or a scantily-clad woman in cosplay. It quickly gets old and game fans will want something more. A far better alternative is /r/truegaming. It’s a place for video game lovers to discuss ideas about games 7 Big Gaming Forums for Non-Stop Video Game Talk 7 Big Gaming Forums for Non-Stop Video Game Talk Want to socialize with other gamers online? Look into one of these massive gaming communities that have been around for ages and show no signs of stopping any time soon. Read More with like-minded folks. You won’t find any stupid memes 4 Places to Find Hilarious Gaming Memes 4 Places to Find Hilarious Gaming Memes Memes are a big part of online gaming culture. Let's find some resources that will provide you with hundreds of memes for your enjoyment. Read More here, but you will find a lot to think about. Come post about some trope that’s been bothering you, or see if other people play shooters the same way you do. /r/pics sounds like a great place to see cool pictures 12 Instagram Accounts to See Amazing Places Around the World 12 Instagram Accounts to See Amazing Places Around the World Instagram can take you to places around the world faster than any vehicle, and for free! You just need to pick the right accounts to follow. Here are 12 Instagram accounts, perfect for travel inspiration. Read More . In actuality, you see more boring pictures with sob stories attached than anything. Rarely do the pictures stand for themselves. Normally it’s Facebook-quality content — everyone has to share their weight loss, cancer-beating, or US citizenship pictures to rake in the karma. Here’s a picture of an old woman eating. /r/itookapicture doesn’t have any of these issues. Everything here must be a photograph that the uploader took 5 Tips to Help You Take Really Unique Photographs 5 Tips to Help You Take Really Unique Photographs Taking a photo is easy - it's making it stand out that's hard. Every great photo has something special about it, and that's what makes you stop and take notice. Read More , so there’s no low-quality junk like at Pics. Photographers will likely have the most interest in this subreddit. Check /r/pic for another alternative. And if you hate the sob stories so common at Pics, check out /r/no_sob_story. There, people share pictures from Pics without the attached stories to show how boring they are on their own. The problem with /r/funny is… it isn’t funny. How about this post that makes no attempt at humor showing an image with two different fonts, no punctuation, and poorly-overlaid images? Are you cracking up yet? Look to /r/humor for your laughs instead. Its users share videos or articles that offer substantial comedy The 15 Funniest Websites for the Best Humor on the Web The 15 Funniest Websites for the Best Humor on the Web If you're searching for the best humor on the web, then here are the funniest websites you should visit. Read More . This sub doesn’t allow stupid images, memes, or other low-quality trite. Thus, it’s a great source for actually funny content. Compared to some of the other default subreddits, /r/AskReddit isn’t terrible. 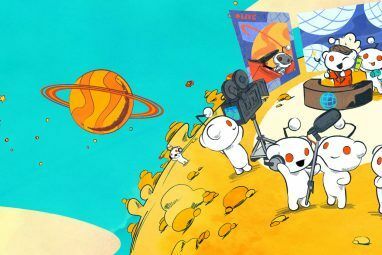 It’s a place for people to pose all sorts of questions The Kindest Communities on Reddit The Kindest Communities on Reddit There are a lot of really great people on Reddit – here's where you can find them. Read More for others to answer. But much of the time, the questions are oddly specific, creepy, or just not that interesting to discuss. For more substantive discussion, have a look at /r/TrueAskReddit. This subreddit uses the same general format but requires that all questions have some depth. You’ll find that the questions are much more interesting and, like other alternatives we’ve discussed, don’t have low-effort, one-liner comments. This is another default subreddit that isn’t terrible, but can quickly get old. /r/IAmA lets people with standout qualities — or celebrities, quite often — hold a question-and-answer session with other Reddit users. Every post begins with “I am a…”, describes their claim to fame, and ends with AMA — ask me anything. You’ll find some interesting content The Best Reddit AMAs Of All Time [Weird & Wonderful Web] The Best Reddit AMAs Of All Time [Weird & Wonderful Web] Under the IAmA subreddit, you'll find informal interviews with all sorts of interesting people. These are some of the best AMAs online. Read More on this sub, but it’s also filled with requests for celebrities. This clutters the list and makes it harder to enjoy what’s there. For a more grounded alternative, check out /r/AMA. It works the same way, except that it doesn’t allow celebrity AMAs. You also don’t need permission to start an AMA, so it’s a lot less regulated. Many people who don’t have stories “crazy enough” for IAmA can post here and still take questions about their unique situations. There’s no vastly superior alternative to this one, but /r/LifeHacks is a bit better. It has a fraction of the subscriber base, so you’ll find fewer “If you’re hungry, try eating food!”-type tips. For a more serious approach, check out /r/ZenHabits and /r/SelfImprovement for ways to improve yourself 12 Life-Changing Challenges You Can Try as 30-Day Projects 12 Life-Changing Challenges You Can Try as 30-Day Projects Personal challenges make us change. How about adopting a more deliberate method by designing your own challenges with 12 self development projects for the New Year? Here are some ideas. Read More without taking shortcuts. The subreddit /r/TodayILearned (TIL) allows users to share interesting tidbits they recently discovered 10 Fascinating Facebook Facts And Figures 10 Fascinating Facebook Facts And Figures Believe it or not, Facebook is now 12 years old. Given its age and its ubiquity, you might think there is nothing left to learn about Mark Zuckerberg's dorm room project. You'd be wrong. Read More . Some of it is fascinating, but a lot of it is stupid celebrity worship and dumb “facts” you could find on Wikipedia. For example, did you know that an actor has been married for a long time? A fun alternative for this one is /r/RedditDayOf. Users share facts they’ve learned about a theme that changes each day. Recent topics include blizzards, skydiving, and fault lines. /r/HeresAFunFact is another alternative, but it hasn’t had any activity for months. For something a bit different, you can ask for a fact about a specific topic at /r/TellMeAFact. 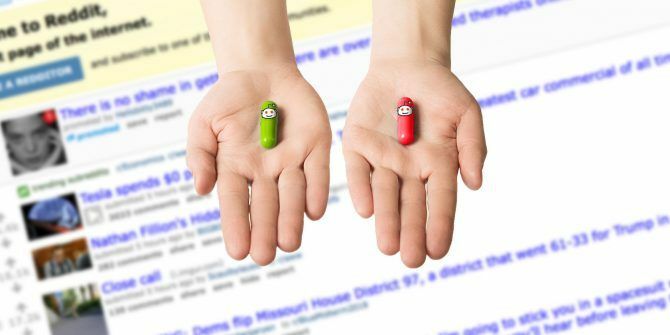 This one isn’t a default subreddit, but we thought it was worth mentioning lest you subscribe to an atrocious subreddit while looking for decent discussion 13 Most Trusted News Sites You Should Bookmark 13 Most Trusted News Sites You Should Bookmark We are in an age where we don't trust the people reporting the news. But there are some trustworthy news sources out there. Look at the ones on this list for unbiased reporting. Read More . Want a constant feed of factually-dubious political articles with Reddit’s finest geniuses providing insightful pejorative commentary on every post? Then /r/politics is the place for you. If you prefer actual discussion instead of an echo chamber, then try /r/NeutralPolitics. This community discusses political issues in a fair and polite way. It’s not a subreddit for those with neutral political opinions — but instead neutral in that no viewpoint receives favor. You must back up claims with sources and discussions are substantive, so you won’t see any name-calling or memes here. What Are Your Favorite Subreddits? We’ve provided seven excellent alternatives to seven lousy default subreddits. Each of them lets you engage with interesting content from a more dedicated user base. The huge subreddits have so many users that reposts, karma-grabbing, and other nonsense are all too common. Subscribe to some lesser-known subreddits 6 Awesome Subreddits That Deserve More Than 20,000 Subscribers 6 Awesome Subreddits That Deserve More Than 20,000 Subscribers There's a subreddit for just about anything, but the hard part is finding them. Here are six awesome subreddits that lie under the radar, but deserve the bragging rights to 20,000 subscribers. Read More and you’ll have a more enjoyable Reddit experience. If you’ve had enough of the site as a whole, check out Reddit alternatives 7 Awesome Reddit Alternatives That You Need to Check Out Today 7 Awesome Reddit Alternatives That You Need to Check Out Today Reddit is amazing for finding cool new content and discussing issues of the day with people from all over the world – but it also has its problems. Try these awesome Reddit alternatives. Read More . What are your favorite lesser-known subreddits? What are the worst posts you’ve seen on the defaults? Share your best with other Redditors in the comments below!